Female friendship is a frequent theme in fiction, or at least what’s often dubbed as ‘women’s fiction’ – a label best avoided in my view. It can be more than a little idealised but that’s not an accusation that could be levelled at Rachel B. Glaser, for sure. 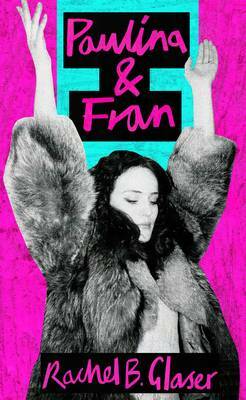 Her first novel, Paulina & Fran, is a raucous roller-coaster ride following the eponymous friends from their meeting as students back in 2000 along the thorny path their friendship is propelled. This entry was posted in Reviews and tagged American fiction, Friendship in fiction, Granta Books, Paulina & Fran, Rachel B. Glaser on 22 January 2016 by Susan Osborne. Great review, Susan. As you know, I loved this too. And yes, the ending was just perfect. How often do you get to say that? Thanks, Naomi. I loved the way that Glaser resisted any temptation to soften it. Or maybe she wasn’t tempted? I rather hope not. These two will stay with me for a while. I hope she wasn’t and I’m glad an editor didn’t force it either. Much more realistic this way, I think. I’m intrigued by this perfect ending… Sounds a little like Animals by Emma Jane Unsworth which I liked and was about a similar pair of girl friends. I think I’ve seen it compared to Animals, Annabel. As for that ending – you’ll have to read it! I have to admit that the cover doesn’t do anything for me, but now you have me very curious about the ending! Ah well, my lips remain sealed on that but let’s just say it fits the rest of the novel like a glove! After reading Naomi’s review it went straight on to my tbr list. It’s no surprise that I’m keen to read it as it explores the same themes as my own novel. I’d say this one would be right up your alley, Helen. Hope you enjoy it. ‘Why couldn’t people stay where she put them?’ That is the most wonderful line and one with which I am entirely in accord. Brilliant, isn’t it? There were so many others I could have picked out but that one is a particular favourite. Great review Susan… I got this on the strength of Naomi’s review and just finished it this morning… echo all you’ve said! Loved it! Thanks, Poppy and delighted to hear that you enjoyed the book as much as both Naomi and I did.